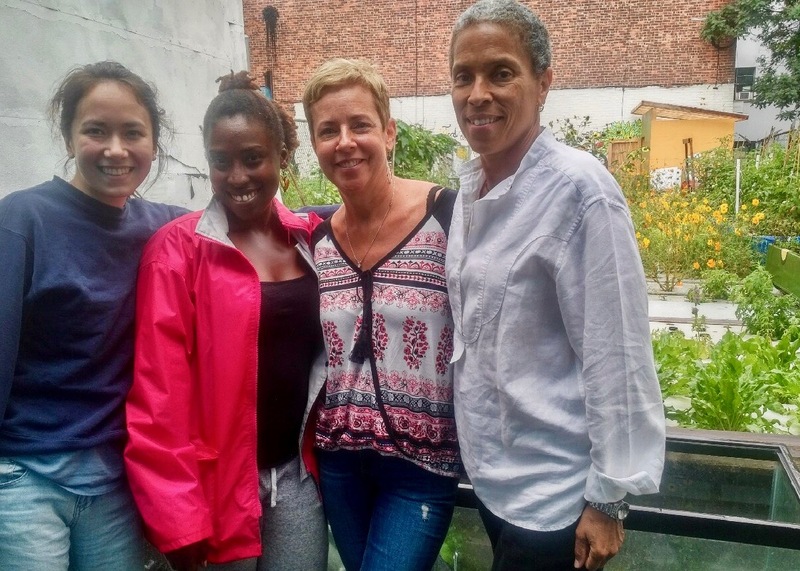 In August, RFC’s ED Marianne Cufone visited several of our farming friends in New York City and learned about all the amazing programs happening there. 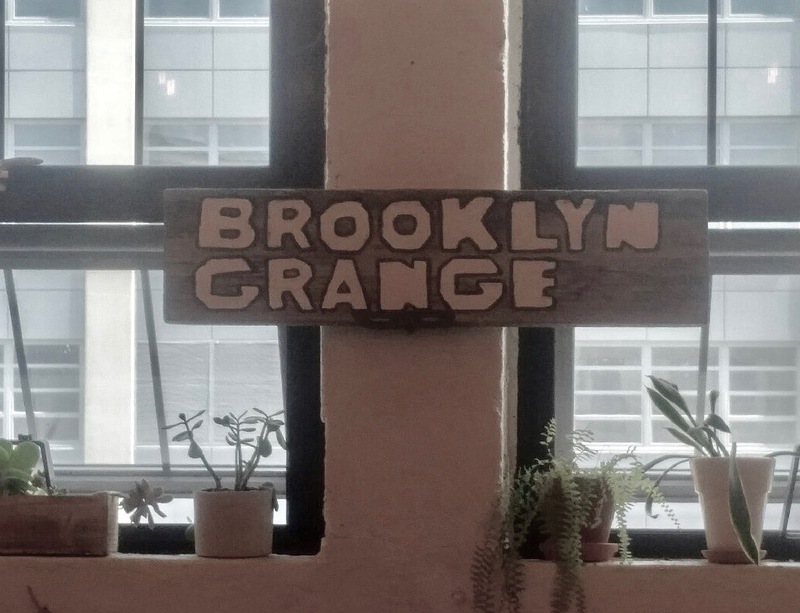 First stop was Brooklyn Grange. 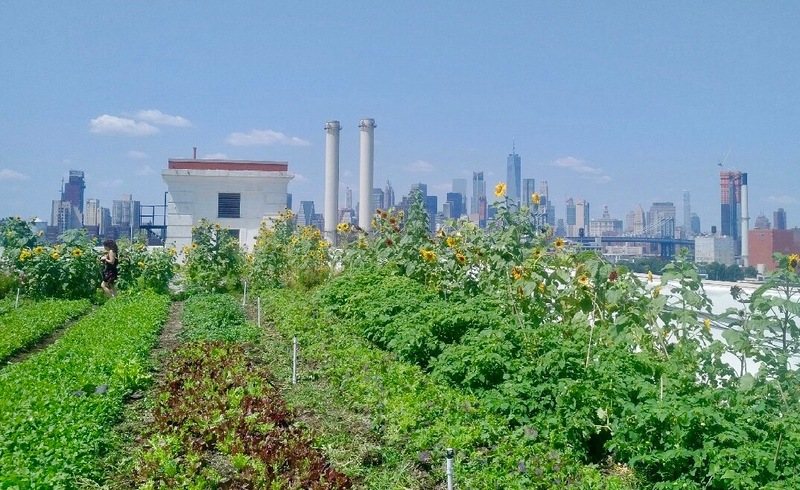 Atop a giant building in the Brooklyn Navy Yard, the farm grows across an expansive rooftop. The Grange hosts workshops, tours and events, including weddings, and has demonstration projects with chickens and bees. 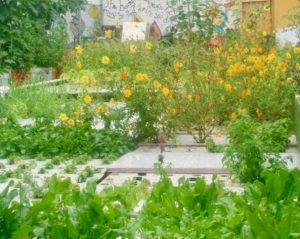 It is a beautiful space with 360 degree city and waters views. 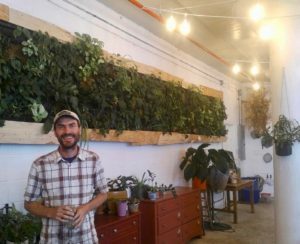 Their next endeavor is on the roof of the new mall in Sunset Park, across from Industrial City. 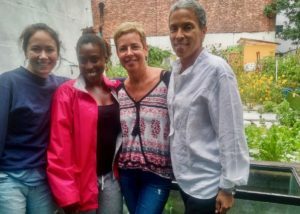 Next up, was spending time with Yemi Amu and the Oko Farms’ team, at their Moore Street Garden, in Buschwick, Brooklyn. 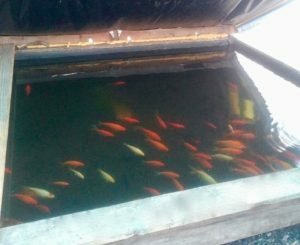 The farm practices recirculating farming through a large aquaponics system with tilapia, koi, goldfish, catfish, bluegill and even crawfish! They host amazing community events, classes, workshops and more. Lastly we learned about a very unique and interesting concept in urban farming – a free floating food forage forest – Swale in the Bronx, NY! 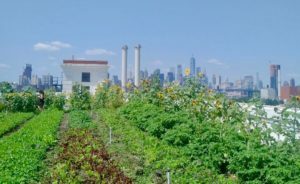 Built atop a barge that travels to piers in New York City, the farm offers educational programming and welcomes visitors to harvest herbs, fruits and vegetables for free. 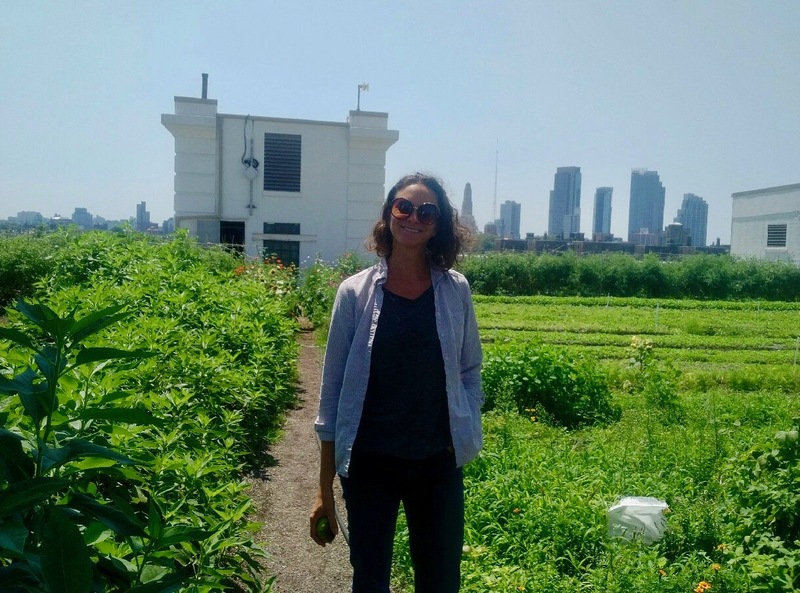 The program strives to strengthen stewardship of public waterways and land, while working to shift policies that will increase development of foragable urban landscapes. 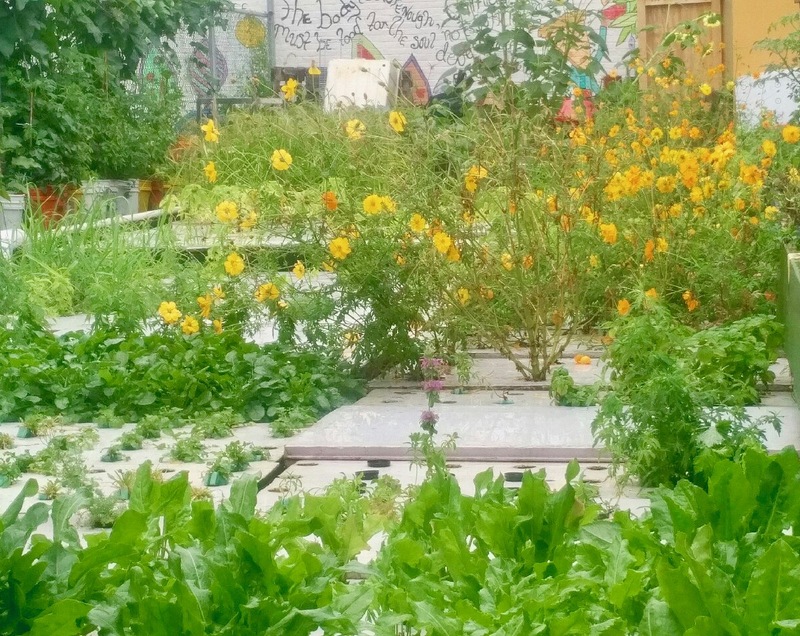 If you live in or are visiting New York – don’t miss these cool edible urban green spaces!